Prêts à entrer dans l'eau, une occasion de cohésion et d'entraide! Un moment de nature et d'évasion en région pour ces tradeurs parisiens! 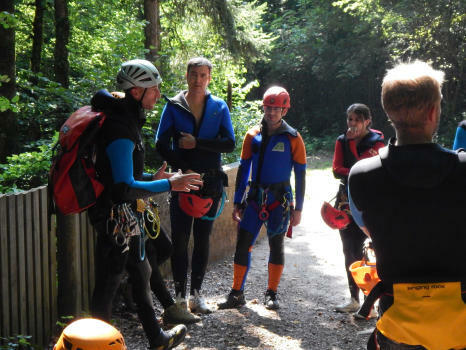 Today Vertical Adventure offers its skills and its competences in the organization of Physical Activities of Full Nature to companies. In order to be attentive and as closely as possible to the company's requirements, Vertical Aventure has studied and developed its products with the objective of proposing an adapted, responsible and safe accessible to all. Team spirit, surpassing oneself, learning and mastering the techniques of progression related to a discipline, and above all awareness of its environment through the discovery of a unique natural environment otherwise inaccessible. Some examples of our Canyoning adapte to company groups. Little corner of paradise close to Chambéry! Beautiful slides in a rock carved to perfection. Very playful and accessible to all, ideal to live a good time with colleagues without scaring! 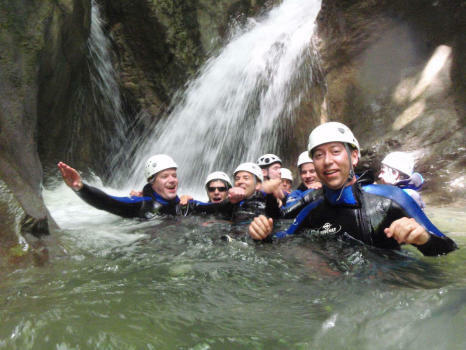 3h of canyoning ideal for teams building. Some examples of our Via Ferrata adapte to company groups. 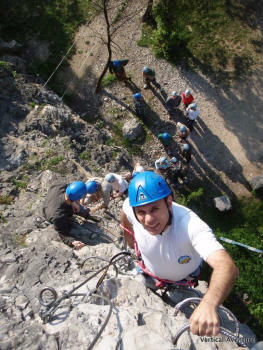 Via Ferrata of "La Bastille"
Via ferrata with 2 parts which lead us to the top of the Bastille in Grenoble. You can always drink a "Green Chaud" on the outdoor terrace overlooking Grenoble. After 20 minutes of walking, a superb panorama awaits you in this via ferrata without physical difficulties! View on the lake of Aix les bains. 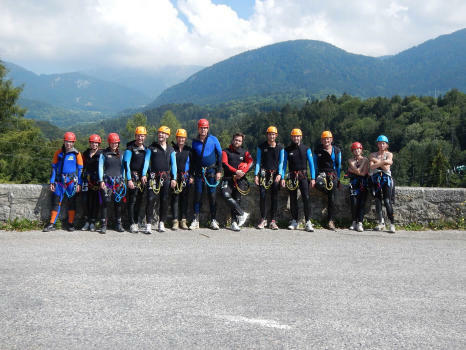 Half a day with our via ferrata "Cascade de L'Oule". Without major difficulty, you dominate the valley. To combine a climb with the funicular ! 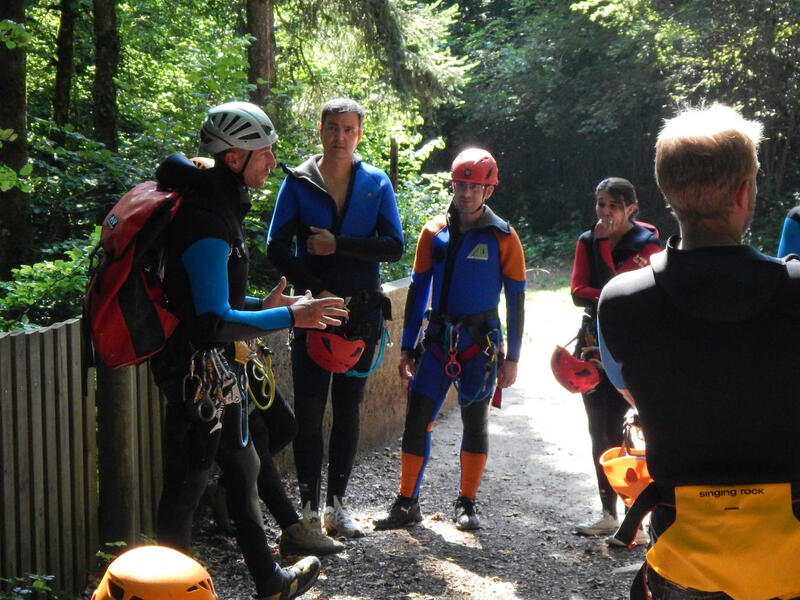 Some examples of caving trip adapte to company groups. Join the underground river and explore the many galleries of this limestone massif ... Only 10 minutes from Grenoble. 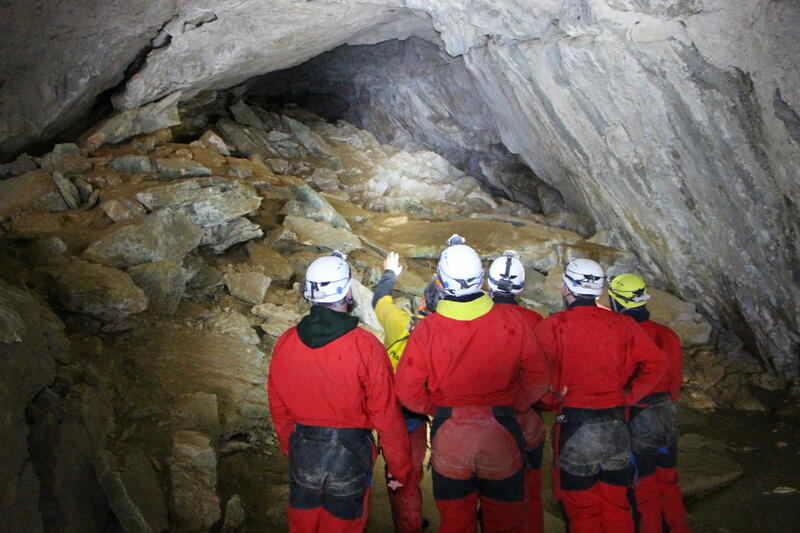 In Chartreuse, this course is perfect for a discovery of group.